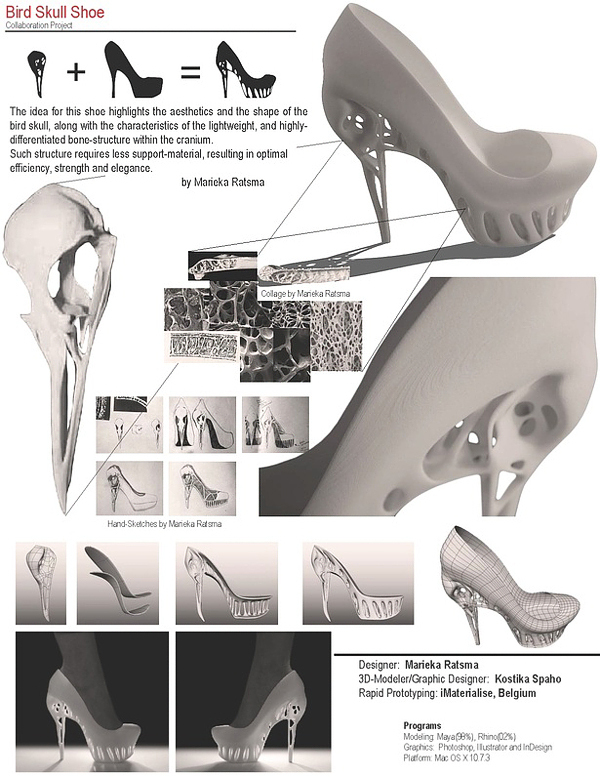 A bird’s skull inspired the hollow heel of these 3D-printed shoes by Dutch fashion designer Marieka Ratsma and American architect Kostika Spaho. They used the shape of a bird’s cranium for the front of the shoe, with the tapered beak as the spike of the heel. 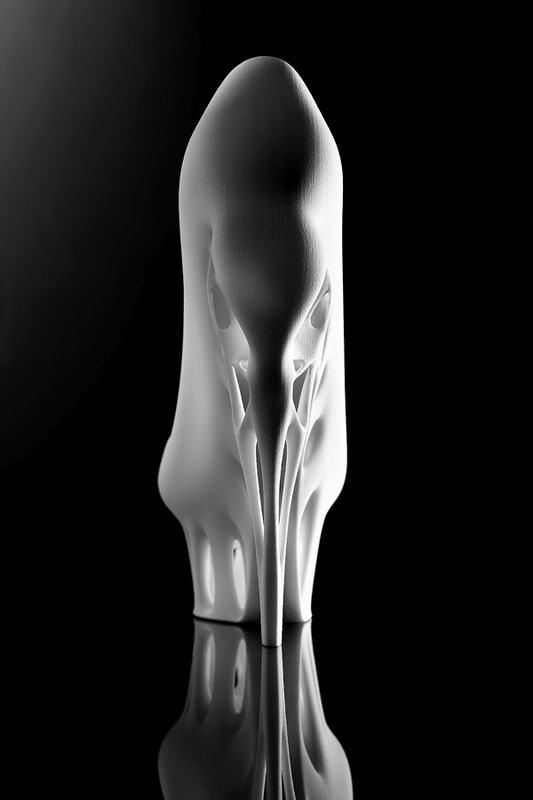 The lightweight and efficient structure of the hollow skull allowed the shoe to be 3D-printed using less material. Take a look! And we strongly recommend you to check more most expensive mens shoes. I don’t care how great high heels can make my calves look, I would never slip into those babies. Not that I expect anyone would ever offer them for sale, of course.